The Burns Beach Playground is found at a grassy park, overlooking Burns Beach. 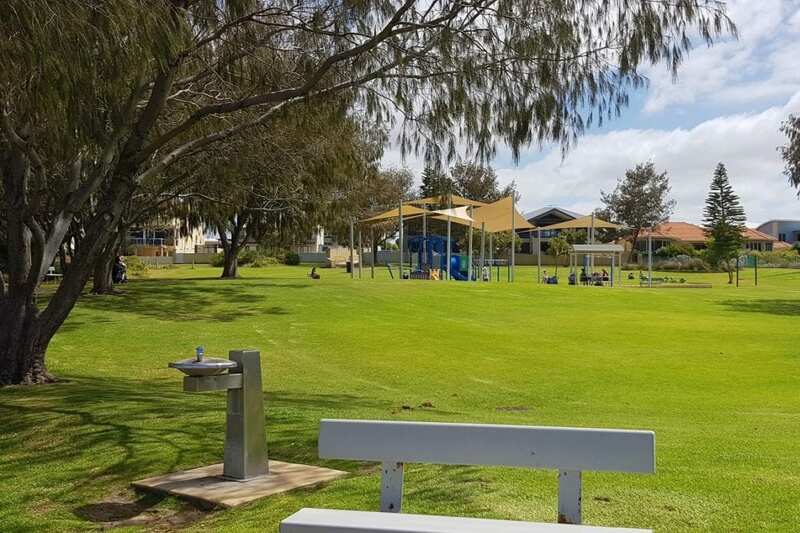 It’s location, as well as it being slap, bang opposite the delicious Burns Beach Café, make it an idea spot to combine a play at the park with a swim, walk along the coastal pathway or family meal. The café also makes it a good spot to grab a takeaway coffee and snacks to enjoy while the kids play. The metal playground structure keeps the ocean theme, as it’s shaped like a boat. There are two slides, a climbing wall, monkey bars, tunnel, fireman’s pole, as well as several look out towers which are enclosed, so great for the little ones. The soft fall surface is ideal for young children and parents that hate sandy shoes! Toddlers will love the two rockers. The playground also has a separate sand pit where there are dinosaur fossils hidden for the kids to dig up and find – so be sure to bring a bucket and spade. There’s also some sand play equipment, with scoops and funnels for the kids dig and put into a sand balancer. There are two swings at the park, one regular swing and a baby swing. Burns Beach Playground is a great place to enjoy a get together or birthday party. There is a picnic shelter and BBQ. The large grassy area is perfect for ball games, flying a kite or just chilling out on a picnic blanket. Toilets about a minutes’ walk from the playground, opposite the beach. Shade sails cover the playground in summer months. There is also a little natural shade from the trees, plenty of benches and a water fountain. As Burns Beach is such a popular spot, the car park right next to the park, café and beach, can get busy on weekend mornings and peak summer times. 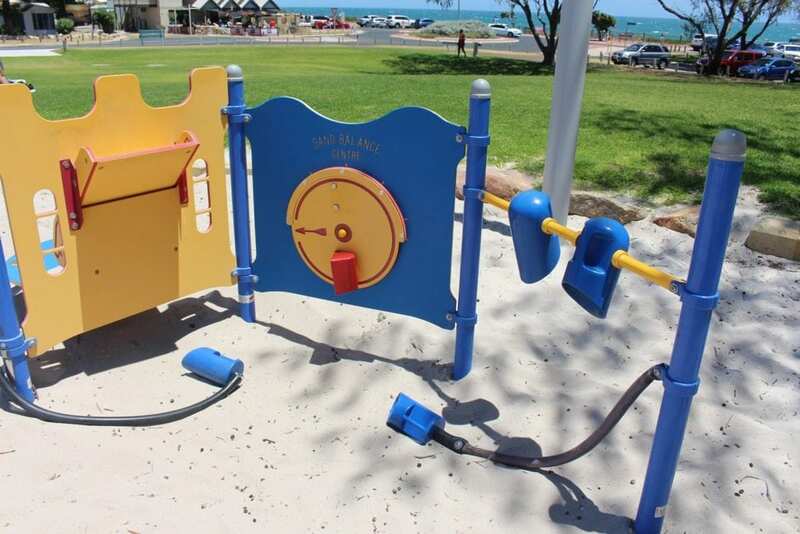 Find Burns Beach Playground at Ocean Parade, Burns Beach. 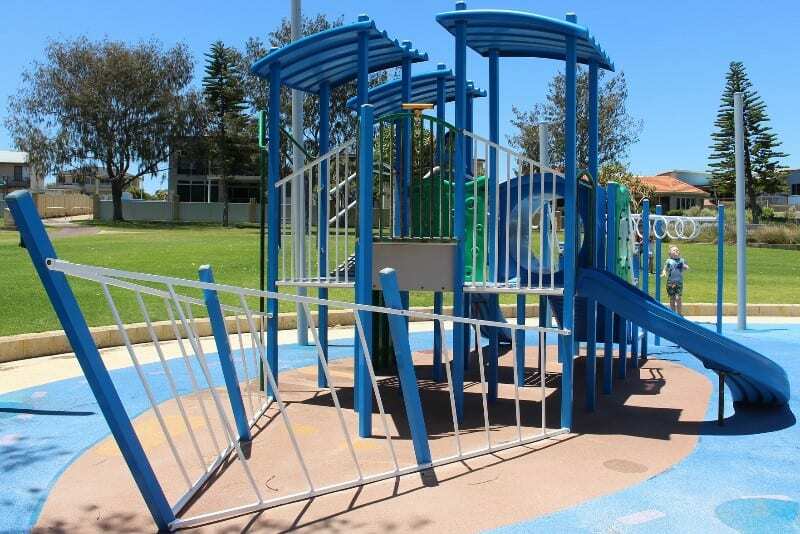 Discover more playgrounds in Perth here. 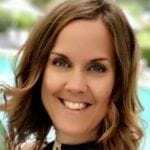 Lorraine is co-owner of Buggybuddys and is mother to Blake (10) and Lollie (8). Lorraine is passionate about health and fitness and loves exploring Western Australia in her Caravan.